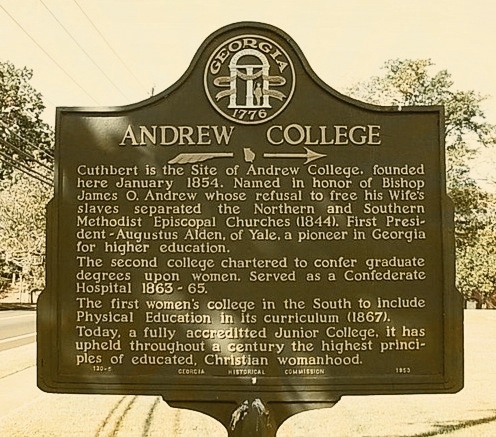 In 1940-41 Mildred Clements, of Ray City, GA, attended Andrew College at Cuthbert, GA. At the time, Andrew College was a small Methodist junior college for women. The choice of schools was appropriate , as Mildred Clements would observe a lifelong commitment to the Methodist church. The friends of Miss Mildred Clements are glad to learn that she has improved from her illness and returned to Andrew College Tuesday where she will graduate this term. Born Sept. 14, 1921, in Berrien County, Mildred Lorene Clements was a daughter of Alma May and Hod P. Clements. H. P. Clements was a banker and prominent businessman of Ray City. He was college educated and appreciated the value of a college education for his children. 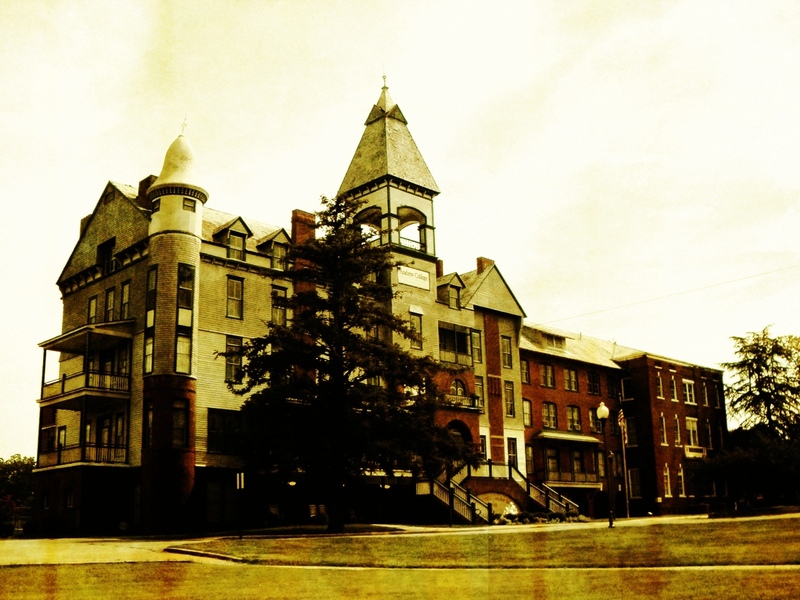 While Mildred attended Andrew College, her sister Frances and cousin Annie Ruth Clements went to Georgia State Women’s College. After college, Mildred Clements married Mitchell Haygood Moore, a young salesman from Sirmans, GA. During WWII he joined the Army Air Force and was assigned as a Staff Sergeant to the 854 AAF Bomber Squadron, 491st Bomber Group, flying as a crewman on a B-24 Liberator. Some say he was a bombardier, others say he was a tail gunner. The 491st was one of seven Heavy Bombardment Groups – 488th through 494th – activated in the autumn of 1943. By April of 1944, the 491st was in England, and the group engaged in long-range strategic bombardment of Germany. In July 1944 it supported the breakout at St. Lo and assaulted V-weapon sites and communications lines in France during the summer of 1944. After August, 1944 the 491st concentrated its attacks on strategic objectives in Germany, striking communications centers, oil refineries, storage depots, industrial areas, shipyards, and other targets in such places as Berlin, Hamburg, Kassel, Cologne, Gelsenkirchen, Bielefeld, Hanover, and Magdeburg; on one occasion attacked the headquarters of the German General Staff at Zossen, Germany. On the date of Mitchell Moore’s death, 26 November 1944, the 491st bomber group was on a mission to bomb an oil refinery at Misburg, Germany when the group was attacked by large numbers of enemy fighters. There were 31 B-24s dispatched on that mission, 28 reached the target, 16 never came back. Although more than half of its planes were destroyed, the group fought off the interceptors, and successfully bombed the target. For this action the group was awarded a Distinguished Unit Citation. According to the 491st Bomber Group website, Mitchell Moore was flying as a Left Waist gunner on the Misburg raid when he was killed in action. 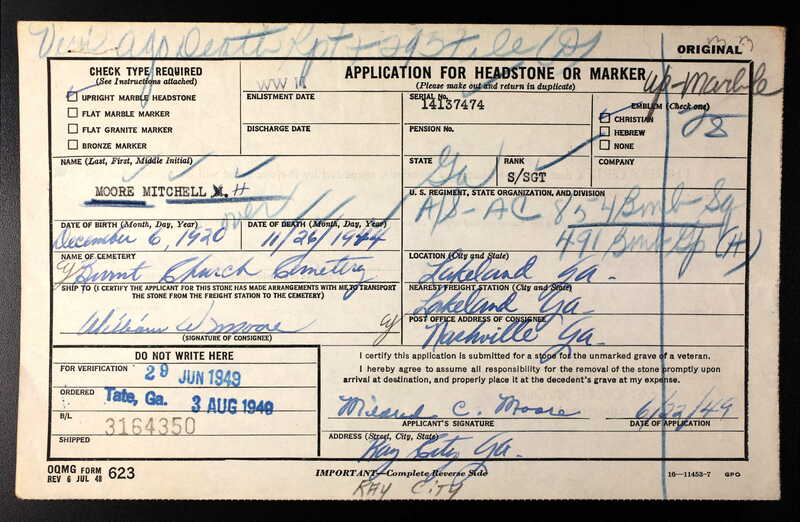 After the war, Mildred applied for and received a marble headstone from the Army Office of the Quartermaster General, to mark his grave at Union Church Cemetery, near Lakeland, GA.
Later, Mildred married WWII veteran and high school classmate Lawson Fountain. After the war, Lawson Fountain had gone into the banking business with Mildred’s father, Hod P. Clements and was for many years a fixture in Ray City’s financial institutions. Lawson Fountain has been the subject of previous posts: Lawson Fountain ~ Ray City Banker and Shoe String Bandits Strike Ray City Bank. Obituary of Mildred Clements Fountain. Mildred Clements Fountain, 84, of Ray City passed away Tuesday, Dec. 20, 2005, at her residence after a lengthy illness. She was born on Sept. 14, 1921, in Berrien County to the late Hosea and Alma Clements. Mrs. Fountain taught school for many years, teaching in Enigma, Hahira and Pine Grove. She was a very active member of the Ray City United Methodist Church serving as president of the United Methodist Women for 21 years and many other positions in her church. She was preceded in death by her husband, Mitchell Moore who gave the ultimate sacrifice in WWII and her husband, Lawson F. Fountain who was the president of the Bank of Ray City. Survivors include her son, James L. Fountain, Ray City; sister, Frances Carter, Valdosta; two nieces, Sherry Buffaloe, Lexington, Tenn., Laurel Thomas, Valdosta; nephew, Larry Carter, Palm Beach Gardens, Fla.; several great-nieces and nephews. Funeral services will be held at 11 a.m. Thursday, Dec. 22, 2005, in the Ray City United Methodist Church with burial following in Beaver Dam Cemetery.